Epic Pinball: The Complete Collection has been released for Mac on GOG.com! Epic Pinball is the ultimate PC pinball collection in the true-to-life 1990’s pinball style. Included are 12 exciting tables – all three Epic Pinball sets – plus a bonus table. Another golden oldie adventure release: Rise of the Dragon for Mac. The game itself is a fairly-standard first-person point’n’click adventure game, chock full of game-ending puzzles that were acceptable back then. Rise of the Dragon is not a friendly game. You can die easily, and often. Over 85 scenes and location, each with dozens of randomly generated animations, multiple story branches, puzzle solutions and outcomes makes Rise of the Dragon infinitely re-playable. 2. Then download the GOG.com setup files from Rise of the Dragon from GOG into your download folder. So it is written, and Wiliam “Blade” Hunter, Private Investigator is the only man for the job. His violent techniques and brash disregard for regulations got him an early retirement from the Los Angeles Police Department, but now they’ll become the fulfillment of the prophecy – the fall of the Dragon. Awesome news, I created a port where you can run all three Brother in arms games in Porting Kit (Steam version): Brothers in Arms – Earned in Blood, Brothers in Arms – Road 30 and Brothers in Arms – Hells Highway for Mac. Simply install the Steam Wrapper. Login into the Windows Steam. Add the Steam game when you don’t own the game yet. Download and play the game! 2. Then in when you own Crossover use this CrossTie or when you use Porting Kit search the game on the library –> server tab and click install. 4. Click “Play” to start the Windows Steam! Add the Brothers in Arms – Earned in Blood, Brothers in Arms – Road 30 and/or Brothers in Arms – Hells Highway serial and download and Play! Have fun! Based on a true story. Set during the famous airdrop before the invasion at Normandy, where Sgt. Matt Baker and his squad of 101st Airborne Paratroopers were scattered over the French countryside. As the story unfolds, you must choose between the success of your mission and the lives of your men – your brothers in arms. Brothers In Arms: will immerse players in the historic, eight-day invasion of Normandy – with unparalleled imagery, authenticity, sound, and gameplay. Another Classic released in Porting Kit Crime Cities for Mac! A futuristic world where law and order have been replaced by a tidal wave of terror and crime. The human federation decides to frame one of it’s best men for treason and disobeying orders and sentences him to spend the rest of his days on one of the planet’s prison cities. This is his cover as he begins the most crucial mission of his life.. Have fun! 2. Then download the GOG.com setup files from Crime Cities from GOG into your download folder. Crime Cities is a revolutionary mix of shooter and future vehicle simulator with a complex plot, and explosive environment and life-threatening missions that are so mind-blowing, you’ll thing flying a hovercraft through a myriad of city skyscrapers is the easy part of the job. We released the adventure The Guest for Mac in Porting Kit. The mood and the feel of the game, and the mysterious background of the Doctor Evgueni Leonov makes the game a unique experience, travelling through the character story and discovering unexpected places that will make you wonder what’s going on there. The game is quite graphical and to use the best graphical settings, a medium-high end Mac is recommended. On low-end Mac’s its playable as well, although lowering the graphical details is recommended. 2. Then download the GOG.com setup files from The Guest from GOG into your download folder. The Guest is a gloomy adventure full of enigmas where the exploration of your surroundings comes to prominence; puzzles, secrets and riddles will help you discover who has locked you in this somber hotel room and most importantly, why. About 2 weeks ago Conqueror AD 1086 was released on GOG.com, So I ported the game to Mac in Porting Kit. This DOS game is a missing GEM with an unique game-play as like RPG classics as Mount and Blade. It’s a grand strategy with tactical battles, role-playing elements and a first person action game all in one! Game works as attended, only thing to remember is when launching the game, to click into the game window and press alt + Enter, to make the window “Full Screen”. Have fun with this classic! 2. Then download the GOG.com setup files from Conqueror AD 1086 from GOG into your download folder. Forge an empire! Command strength, skill and strategy in your valiant quest for the crown. You are in control of your destiny as you ascend to the throne of England in this richly detailed action-packed medieval adventure. Wage real-time battles, compete against rival knights in 3-D tournament events, and create castles and commerce in an epic pursuit of land, wealth and power. Your kingdom – and your place in history – await. Black Friday week sale + MDK free for 48 hours! On November 21, 2017 / Free games, GOG.com Games, Promo / Comments Off on Black Friday week sale + MDK free for 48 hours! Get MDK for FREE during the first 48 hours of the sale. First released in 1997 to critical acclaim, this is a classic your library deserves – a unique sci-fi shooter with tons of personality, humor, and gameplay variety. Go to the GOG.com main page and claim your free MDK by clicking on the giveaway banner. Every purchase you make during the sale will bring you closer to unlocking StarCrawlers for FREE when you spend 15 USD. Finally, find over three hundred deals up to 90% off among all-time classics and greatest premieres of the year, including: Heroes of Might and Magic III (-75%), Dungeon Keeper 2 (-75%), Titan Quest Anniversary Edition (-80%), many more! The Black Friday sale ends on November 28, 11PM UTC. The MDK giveaway ends on November 23, 2PM UTC. We already had the first Hearts of Iron game we already added to Porting Kit and now we added Hearts of Iron 2 complete as well. The Complete version contains both the main game and the two expansions, Doomsday and Armageddon. Those are separated in two installers, so I made 2 ports for the game: Hears of iron 2 and Hearts of Iron 2 – Doomsday. Simply install it into porting Kit with the simple steps and Enjoy! 2. Then download the GOG.com setup files from Hearts of Iron 2 Complete from GOG into your download folder. 3. Then in when you own Crossover use this CrossTie or when you use Porting Kit search the games (both) on the library –> server tab and click install. You probably read the news about the free Syberia game for 48 hours. 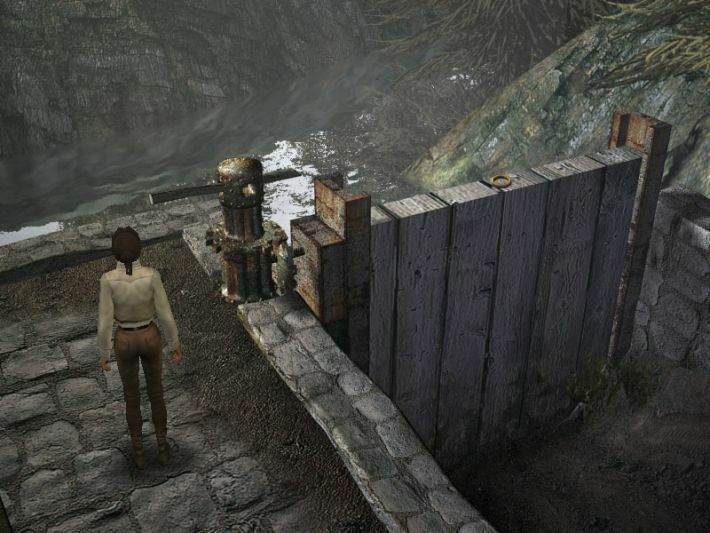 It looks like the Native Mac version has been removed of Syberia 2. So I added the Syberia 2 port to Porting Kit! 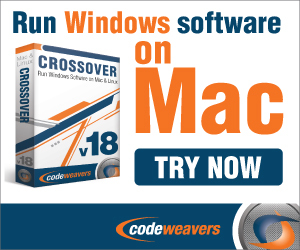 The game is also available in Crossover with a Crosstie. 1. Get Porting Kit if you don’t have it yet or Crossover. 2. Then buy/download the GOG.com setup file from Syberia 2 from GOG into your download folder. 3. Then when you own Crossover use this CrossTie or when you use Porting Kit search the game on the library –> server tab and click install. An unlikely pair, young Kate Walker and old, eccentric Hans Voralberg now set off on a journey together, in search of the last of the fabled Syberian mammoths at the heart of a long-forgotten universe. The surreal quest Hans began alone several years ago will come to a final close as he and Kate face obstacles far more dangerous than ever before, testing their courage and determination. Far and beyond, a mystical Syberia awaits their arrival. Syberia for Free for 48 hours on GOG.com! On November 10, 2017 / Adventure, Free games, GOG.com Games, News / Comments Off on Syberia for Free for 48 hours on GOG.com!